If you think spending a small fortune on a handbag or a pair of sunglasses from Dolce & Gabbana is a waste of money, maybe spending that a couple thoursand on something more practical, like a refrigerator, seems more reasonable? Maybe if it is a hand-painted Dolce & Gabbana-approved refrigerator? 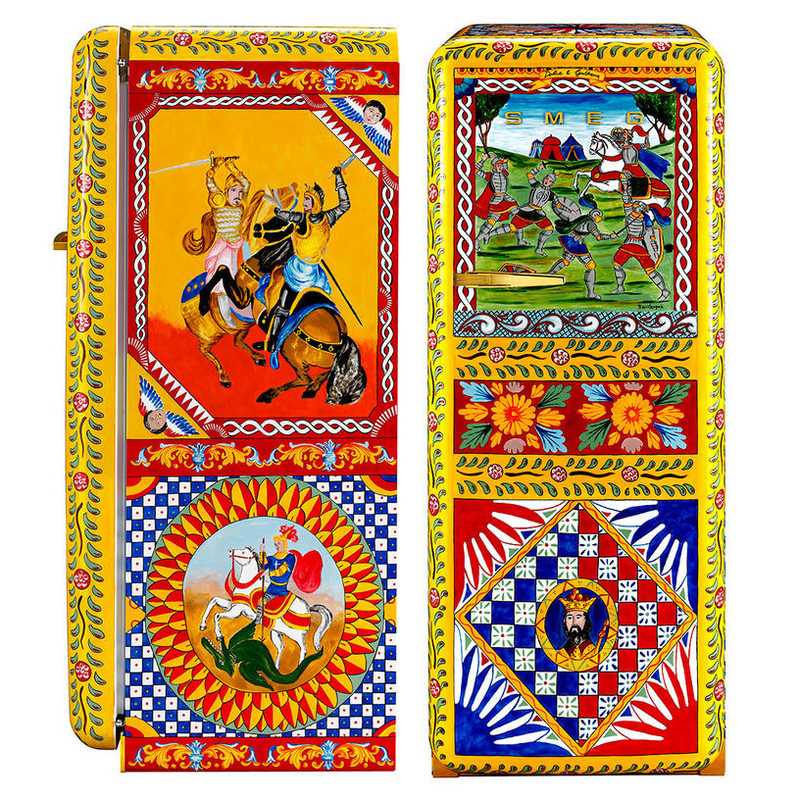 The results – to say it in a way that hopefully won’t offend Dolce & Gabbana – are as expensive as they are gaudy, often featuring bright primary colors used to depict battle scenes, Italian folklore and other things the understanding of which is probably secondary on your list of priorities to being able to tell someone that you bought a fridge that was designed by Dolce & Gabbana. I doubt these colorful fridges fit into the design of most people’s kitchens, and even if they did, the price is likely a bit excessive for everyday use. But does anyone really need a fridge strictly as a piece of art? I’ve been to art museums many times and never once been to the refrigerator wing. Regardless, these appliances (can I even call them that in this context?) will premiere at Salone Internazionale del Mobile 2016, an international furniture fair, starting April 12 in Milan. Maybe head on over and grab one if you can’t think of a gift for King Salman of Saudi Arabia’s birthday.